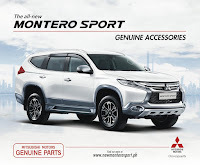 Knowing Pinoys have a penchant for customizing their rides, Mitsubishi Motors Philippines is offering a healthy catalog of genuine accessories for the all-new 2016 Montero Sport. 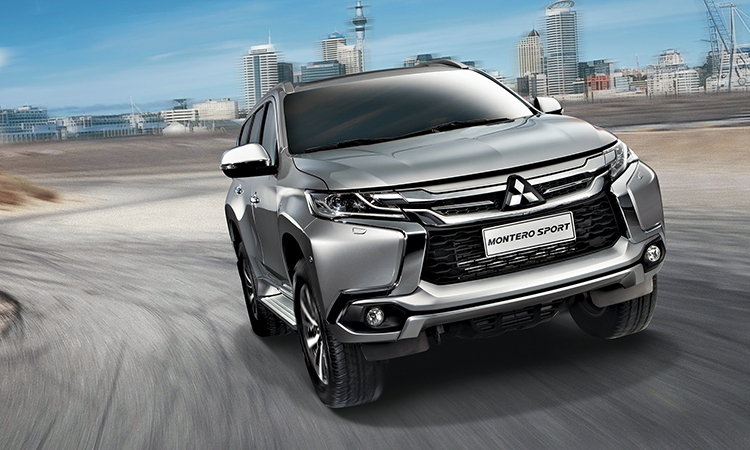 This gives would-be Montero Sport owners the chance to make their rides stand out of the crowd. 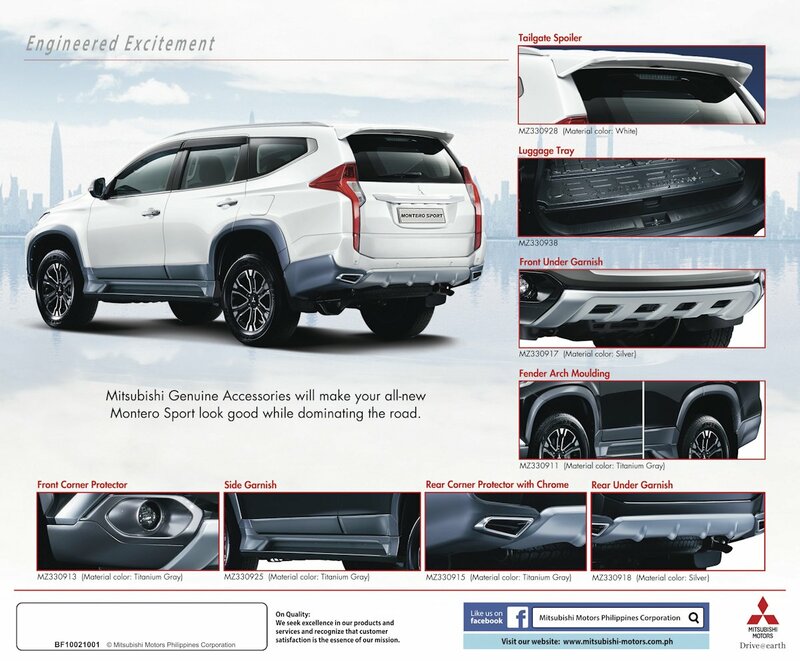 In the pamphlet, it is also clear that the Montero Sport featured also rocks a different set of alloy wheels. 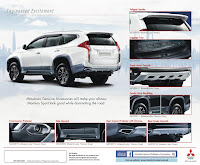 It remains to be seen whether this is for illustrative purposes only or if MMPC will also offer a spiffy set of wheel upgrades to go with the sportier style. I have a Montero Sport ltd 4x4AT, my mechanic broke the plastic cover of my LCD touch screen. Where can I order just that par and not a whole system? 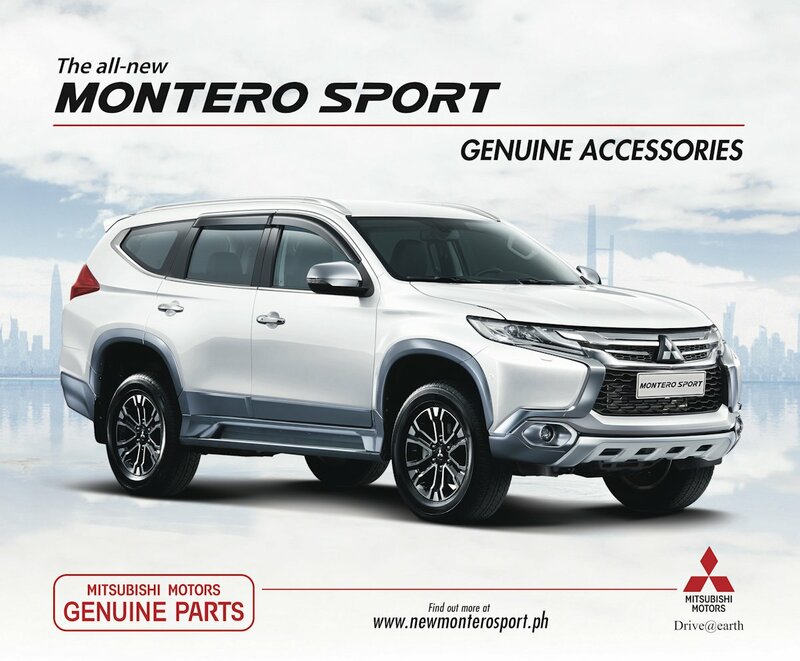 I need to order some accessories for my montero 2017 ..how can I ?